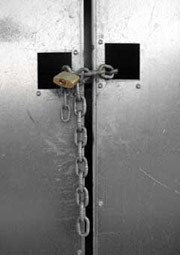 Free Eviction Forms and Legal Information for Landlords. 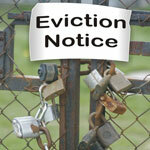 The time has come to use the dreaded eviction forms to get rid of an unwanted tenant. 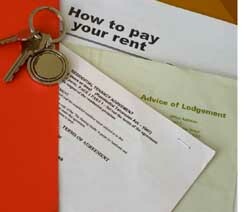 Some tenants will respond quickly to remedy rent payment when served with a notice to quit. The problem is those really stubborn cases where you have reached the end of road with them. Have you exhausted all other avenues? Before you resort to the sometimes lengthy process process of eviction by completing the eviction notice to quit, have a look at a couple of creative ways to get rid of an unwanted tenant which may just work for you. I know that galls you - they are already costing you a lot of money. Every day they're staying without paying rent or causing damage to your property is costing you even more. Get a quote from a lawyer to handle the case for you. Tell the tenant that you will lawfully evict them which will go on their record. Then offer to pay them the lawyer's fees if they leave immediately. Tell the tenant that you have huge sympathy for their inability to pay rent because of the hard times they're obviously going through. Their plight has opened your eyes to many more people who might be in the same situation, such as the homeless people who sleep on the street. As such you will be allowing a number of other people to share the property and they should be expecting them soon. Maybe that will prompt the tenant into paying or moving. "The landlord shall not be obliged to sell utilities to tenants if there are any payments outstanding for rent, repairs or utilities." PLEASE NOTE: www.free-legal-document.com and the webmasters do not accept any responsibility for any legal action which may arise from any of the above. You have to stay within the law, but you could get legal advice on whether you would be allowed alternative remedies such as the above. Ask your homeowners association for additional suggestions on how they handled a tenant in breach of an agreement. Sidebar: As landlords we have had no problems in ten years (touch wood) with tenants. We screen tenants thoroughly before accepting them and when in doubt, we would rather have a vacancy. There are many legal reasons to reject an applicant such as incomplete/wrong information or information that cannot be verified on the application form, insufficient funds etc. Every state and country has different forms to complete and procedures to follow. 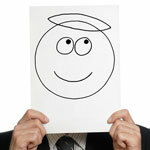 My advice - either get the approved court forms and complete them correctly or consult with a lawyer! We can not supply a universal form to start a lawsuit on this site and you do not want a technicality to ruin your case.